Yay! I have a new nephew! 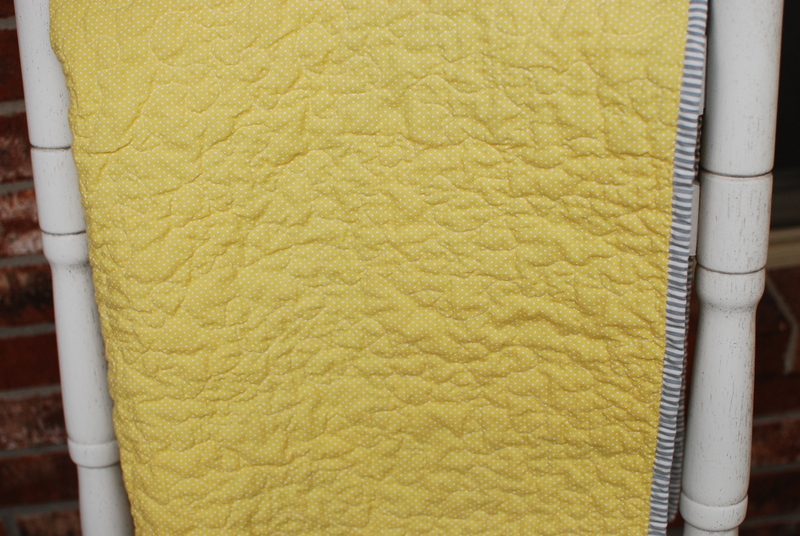 Just the excuse I needed to start quilting again. 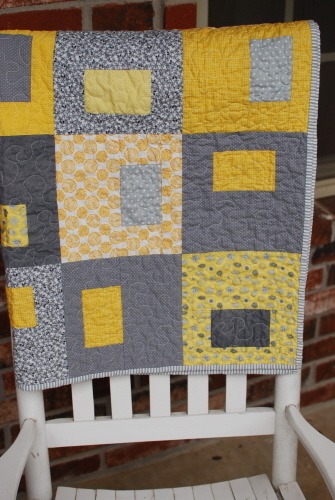 I love the combination of the yellows and grays…it’s like sunshine on a cloudy day (you know how the song goes–You are my sunshine, you make me happy when skies are gray….). 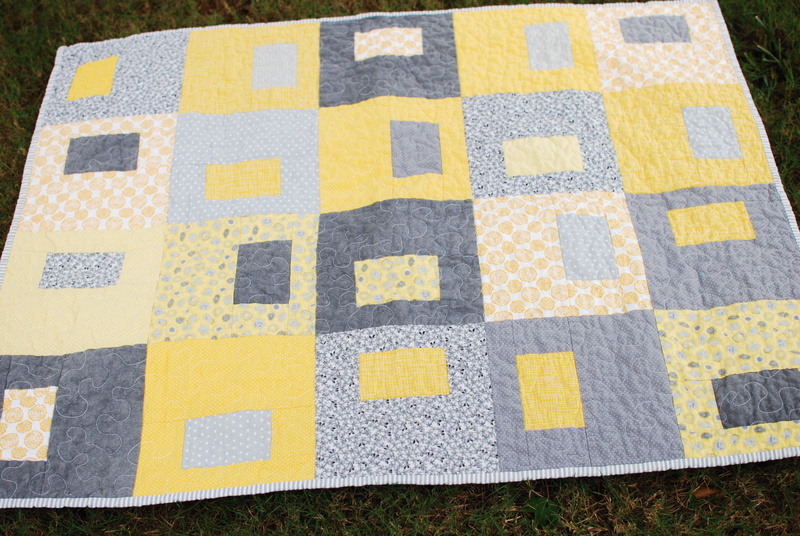 Baby quilts are so fun to make, since the whole quilt comes together relatively quickly. I just love how it turned out! 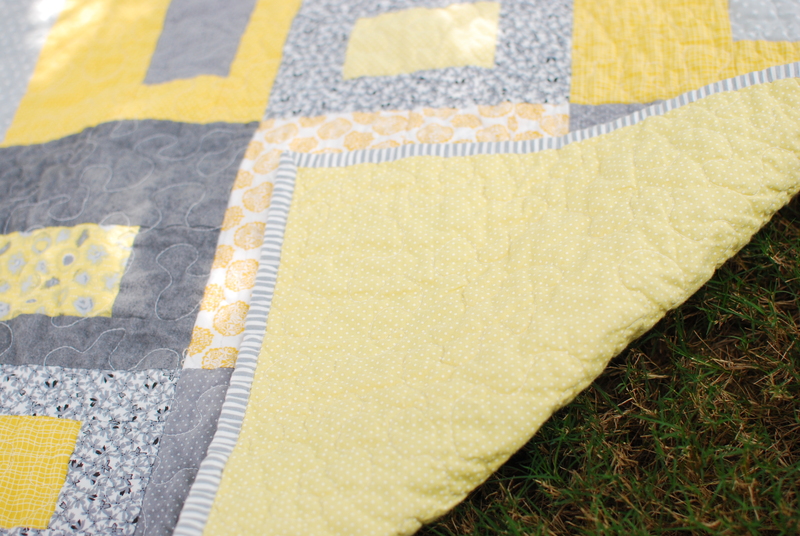 I used the Snapshot pattern from Happy Hour by Atkins Design. 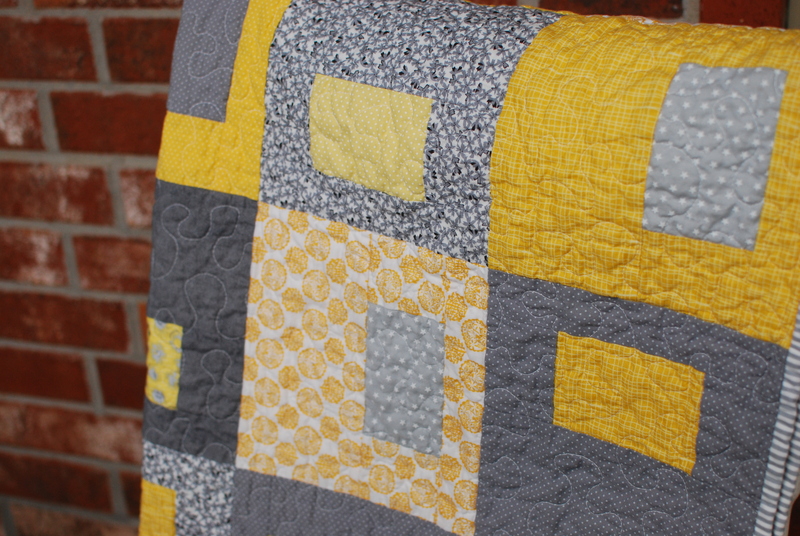 I love this pattern (I used it for Caterpillar’s Meadow). 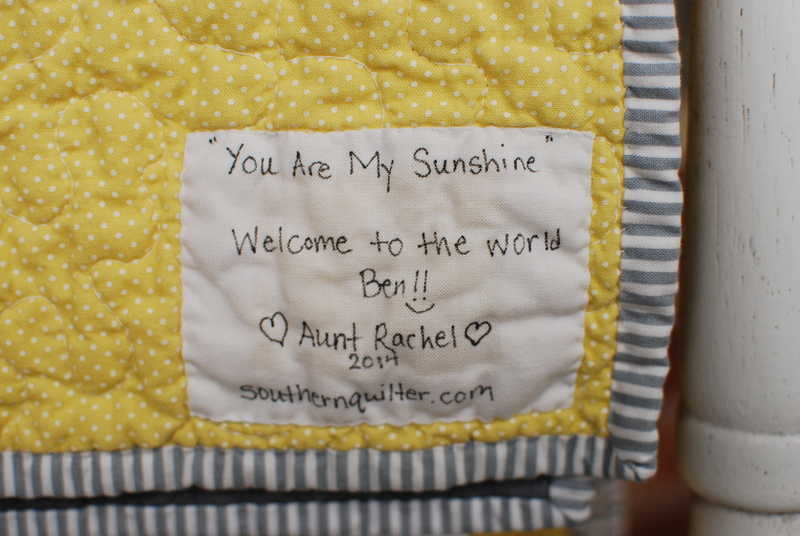 I hope my nephew, Ben, loves his new quilt! Post wash measurement: 34 x 42. 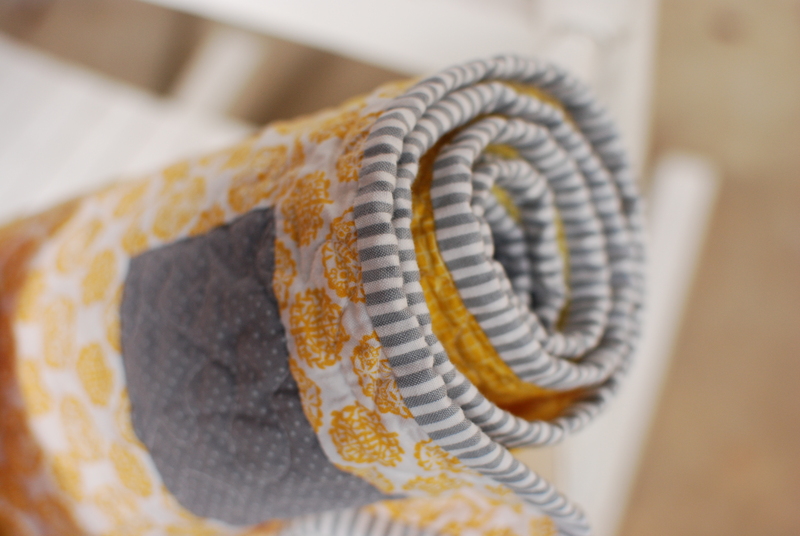 The binding: I love a striped binding!